Today is a strange day. It is both unbelievably sad and happy at the same time. Two people I know, one a friend of many years and one an acquaintance lost a child last night. My heart goes out to them and even though I did not know the children I feel sadness for their loss. Nothing can be worse than losing a child. Suffering the loss of a child is one of my greatest fears and so while I can’t possibly understand what these parents must be going through I think I know how devastating such a loss must be for them. It is with a heavy heart I proceed through the day understanding that people I know, that I consider friends, are dealing with the pain of losing a child. The sadness, however, is tempered with a touch of joy. Seven years ago my family was dealing with its own crisis involving a child. 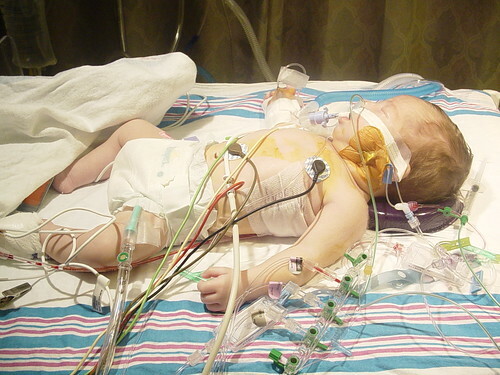 My daughter was born with a heart related defect. I won’t go into the details but the problem could have been and likely was life threatening. Thanks to living in a city with great hospitals and wonderful surgeons, our daughter’s problems were corrected and she is with us today living a normal life. It was a long few days and weeks back in 2003 and I still remember what it felt like to understand that our young daughter might not make it. It is that sense of both grief and thankfulness that makes today so strange. I don’t exactly know what the “right” feeling should be. I suspect there isn’t one. 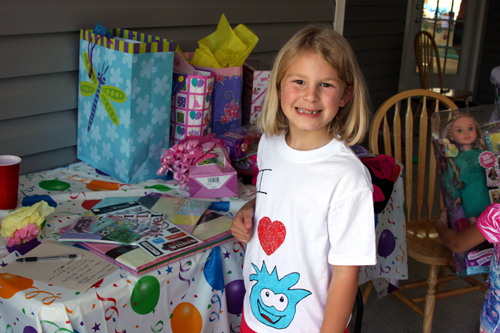 Today Emily is growing into a beautiful, compassionate, smart, and caring child. This picture was taken within the last few weeks. The gift of Emily’s life has been to teach me so much about my own. I hope those that have lost children have also received a similar gift and that they remember all the wonderful and joyous things those children brought into their lives. Life is fragile so celebrate it when you can. This brought tears to my eyes, both for your friends’ losses and the beauty of your love for Emily.